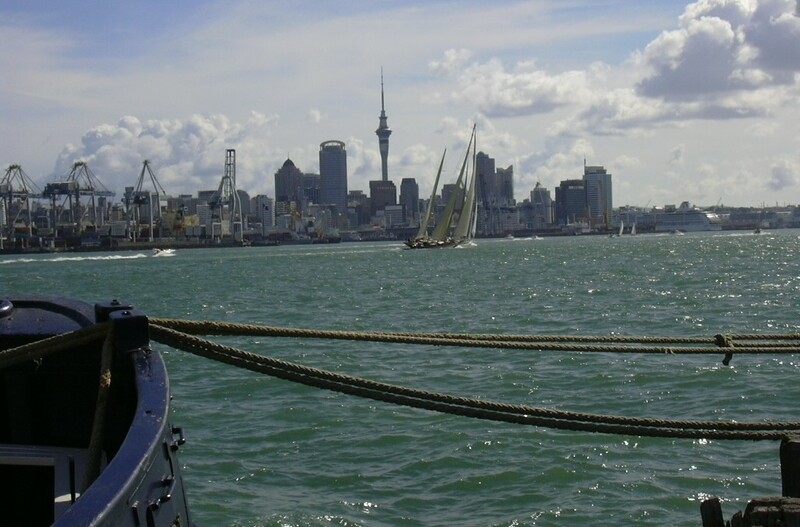 Over the next 10-15 years, the growth of the Auckland region will intensify, but what impact will this have on its people and communities, and the environmental status of the land, air and water we depend on to live, feed ourselves, work and play? We need to better understand these social issues, hear from those affected, and build strategies for improving the accountability and outcomes of planning design and decision making. Social Impact Assessment (SIA) is an integral and cost-effective tool that puts democracy back into into development in ways that are participatory and people-centered. In New Zealand, very few studies of the social impact of housing intensification have been conducted, simply because the social consequences of it are assumed – with good planning and design, with the right balance of infrastructure, communities are grown and flourish. But how far can we trust in these assumptions? Do private developers, local government, and other agencies think beyond their planning and urban designs and maps to really understand the existing community and the future they are designing for them? Do they really listen to and take on board the voices of people affected, directly or indirectly, by this development? Or is people-centred development and real social analysis an undervalued science, desired only in perceived contentious situations, when the risk of an engaged and angry community threatens to derail or delay, and add cost? What is social impact assessment (SIA)? Social Impact Assessment (SIA) is a well-established international practice. Since its inception in the 1970s, SIA has traditionally been an applied social science used to assist decision making relating to government actions which may have an impact on the environment. As it expanded around the world, it was developed to identify and address the ‘unintended consequences’ of public, private and profit-orientated developments. Heightened community expectations, global scrutiny and the growth of ‘social corporate responsibility’, ‘social license’, ‘sustainable development’ and ‘triple/ quadruple bottom line’ has led to shifts in how developing agencies and organisations interact with communities in planning development, as well as a determination to promote positive developmental outcomes for society and environment (not just mitigate negative consequences). SIA is firmly rooted in the philosophy outlined in the International Principles for Social Impact Assessment (Vanclay 2003) and emphasises that the focus of SIA should be on identifying and managing the social issues associated with planned interventions; taking a holistic and integrated approach to impact assessment; and stressing that greater attention needs to be given to ensuring that the goals of development are attained and enhanced. It is much more than a communications or public relations exercise to understand and mitigate risk from those dis-affected by a project, programme or policy. It is much more than a proponent-led process to meet regulatory requirements. It is a process to help developing agencies and communities and stakeholders develop impact and benefit agreements in fairness and good faith, to ensure an ongoing social license to operate and corporate social responsibility. It can be a community-led process to assist affected communities in developing a thorough understanding of the social and environmental issues associated with a proposed development, which is needed for them to decide whether or not to accept a project and to negotiate sustainable outcomes with a project developer. SIA seeks to maximise the positive outcomes while minimising harm. It engenders social awareness and the ability to manage social issues effectively for all. Done properly, it is an investment in risk management and sustainable development. It has the potential to identify local knowledge that could guide project design and decision making, ensuring best outcomes for communities, developers and decision makers. In this way, SIA can give substance to the basic tenet of democracy, providing citizens with the opportunity to influence decisions that impact them. Consider the following examples, where the assessment of the social impact of planned housing intensification and development would have benefited everyone. The Proposed Auckland Unitary Plan – The Auckland Unitary Plan aims to ensure that “Auckland can meet its future economic and housing needs and help its centres meet their real potential, while protecting and enhancing what Aucklanders treasure most”. The process of its development is of a scale unprecedented in New Zealand. Its consequences will be significant to all Aucklanders, now and into the future. Despite a formal consultation process – a public notification period, inviting submissions, and then a further consultative opportunity to either support or oppose submitters’ requests for changes – it is increasingly obvious that this process has its flaws. Not only is there a lack of transparency about how consultation was responded to and used to develop and evaluate options in the proposed plan, but there is a lack of detail corresponding to the scale and significance of the environmental, economic, social and cultural effects anticipated from the implementation of the proposal, required under section 32 of the Resource Management Act 1991 (RMA). An Analysis of Section 32 report carried out by the New Zealand Institute of Economic Research (NZIER) comments, for example, on the Residential zoning topic report. It concludes that Council’s evaluation report only “broadly discusses the significance of the subject matter covered. It notes that the effects of the provisions influence household wealth, health outcomes, central government policy and neighbourhood amenity. It does not specifically comment on the potential significance of that influence or “effect”. The topic report does not explicitly identify the process by which the significance of effects was determined in this instance… No evaluation has been undertaken to understand who would be the recipients of the costs and benefits or how they will be affected” (p.49). General public and media commentary tends to reflect these flaws in undertaking the social analysis. Neighbourhoods and communities are not homogeneous or static buildings and infrastructure on maps. They comprise people – with diverse ethnic, cultural, economic and social values, needs and interests – whose wellbeing and lives will be affected and shaped by the provisions contained in the final adopted Auckland Unitary Plan. As importantly, but less acknowledged, is the effect the process of its development is having on people concerned about its draft provisions. Consultation as opportunities ‘to have your say’, in this case, needs to be rooted in proper social analysis of these ‘communities’. We need to better understand, monitor and manage the potential consequences of the provisions proposed by the Unitary Plan, providing ways of limiting harm and negative impacts on the people and places in which they live, and enabling positive social outcomes to be co-designed. Why wouldn’t local and central government invest in such an approach? Tāmaki Regeneration Company (TRC) – I was once impressed with the community-led philosophy that underpinned the original Tāmaki Transformation Project. However, in recent years, it seems to have grown more controversial as it has moved from a community-led programme toward an incorporated company of Auckland Council and New Zealand Government (shareholders) with an emphasis upon ‘regeneration’. The Draft Strategic Framework outlines the company’s agenda for development in Tāmaki, but does not outline the methodology for how it was developed. The draft states it “seeks to reflect the views and outlooks of the Tāmaki community that have been captured over the past five years. We will check in with the community to ensure that we have correctly understood what we have been told and so that they can further influence plans for action” (p.7). As a result, the degree to which the diverse community of Tāmaki have participated in designing and owning this agenda is not clear, nor in the activities it outlines to achieve the TRC’s vision of regeneration. Simply put, there is no sign of any deep analysis of the TRC’s planned impact on the lives, well-being, health, rights, fears and future aspirations of the community – positive or negative. Despite TRC and governmental public relations’ claims of creating significant positive benefits, recent media coverage about evictions and poor community consultation clearly contradict this proposition. This kind of top-down developmental agenda should be subject to social analysis and evaluation of options by the people and communities affected in Tāmaki. Claims of working ‘shoulder to shoulder’ with the communities of Tāmaki should necessitate their participation in a process of assessment of the social impacts of regeneration. Special Housing Areas – According to Auckland Council, the SHA in Waimahia, Manurewa is a statistical success in terms of houses built and occupied. However, residents of this new and growing community are experiencing crime and safety issues that suggest the development has been focused on building houses, rather than building a community and the necessary infrastructure and participation of people living there and nearby. Whilst Waimahia residents are forming relationships of support to fight against crime in their new neighbourhood, SIA would have offered an opportunity for the planning and design process to analyse and put in place measures for locals and stakeholders to mitigate the negative and maximise the positive impacts of Waimahia’s design upon their way of life, culture, community and social capital, health and wellbeing, quality of the environment, and their access to facilities and services. Aucklanders are living with the consequences of past housing developments. The shape and make-up of our communities and neighbourhoods and how they interact with one another, where people live, where they go to work and how they travel, live, work and play have enormous implications for the (social, cultural, economic and environmental) well-being of our society. We have seen the consequences of housing development – good and bad – all of us can name some examples. It is not simply about learning from the past and studying what worked or did not work. Whilst useful information, this tells us little about the current and future expectations and needs of our diverse families and communities, their investment and choices to live where they do, and the consequences building such housing developments create on neighbourhood and community. Consultation itself is a costly exercise, but that expenditure is worthless without applying social analysis to what people say is important to them, why, and what it tells us about the broader social, economic and cultural context of life. People should not be subject to decisions made without their input, nor without a full understanding of the impact of these decisions on their lives. In particular, any and all housing intensification and development in Auckland should seek to maximise the positive outcomes while minimising harm on people and the sustainable development of our communities. This is why the assessment of social impact is so crucial to our current progress, and the oft-spoken mantra of the world’s most liveable city.